Home » Design » Transportation » 10 great reasons to marry a cyclist! 10 great reasons to marry a cyclist! Does you your boy/girlfriend love to go cycling? Well, do know that letting him/her go could be one of your biggest mistake in life. Why? For at least 10 good reasons about why marrying a cyclist is a brilliant idea! 2. They have a higher IQ and are more charitable and cool than the average person: the 13% more than the average (according to a Mindlab survey). They are also perceived as generous people, (Mindlab Survey), 10% more than people who do not ride bikes. 3. Amongts the most important reasons to marry a cyclist, he/she will be fit and physically attractive (most of the times). 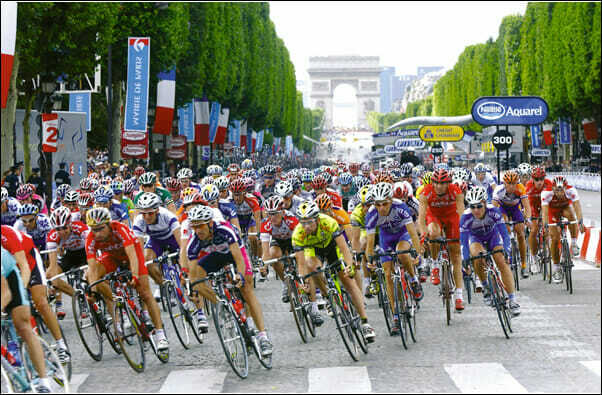 A recent study claims that the athletes who are considered the most attractive are the cyclist who partecipated to the Tour De France. 4. They are tinkerers. Since they are used to repair their wheeled friend, they have more abilities to repair everything in general. 5. They love open spaces and nature. It would be hard to see them in a Homer Simpson style, smashed on the couch watching tv all the time. Pack your suitcase and leave your slippers at home, because you’re gonna spend a lot of time away from home! They don’t know what laziness is and always keep theirselves active and fit. Therefore in shape! 6. They are tenacious and do not like to lose, which is something that can reflect positively on your relationship. 7. A cyclist is generally healthy. According to a research by the National Cycle Network, published in 2013, cyclists tend to get sick less than those who use public transports. Riding bikes is helpful to mind and body. The effort that we put when we pedal, perhaps, helps us keep focusing and it acts positively on our memory, further more, it also reduces anxiety and stress..
8. They tend to set goals, and they have all the drive to achieve them. Same rule applies over relationships. 10. Riding on bikes is the greenest thing. Whoever rides bikes, loves nature, the environvement and loves the planet.